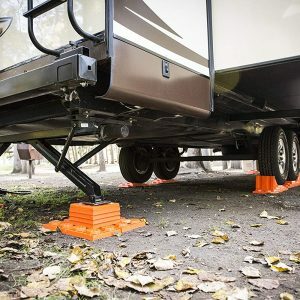 We love these modular levelers not only because they are strong but they are bright orange so we don’t forget them when we drive off! 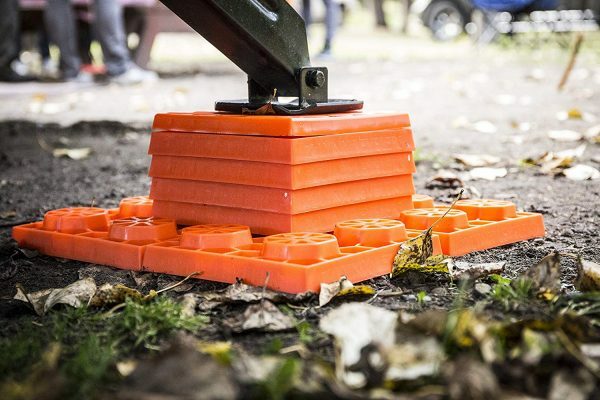 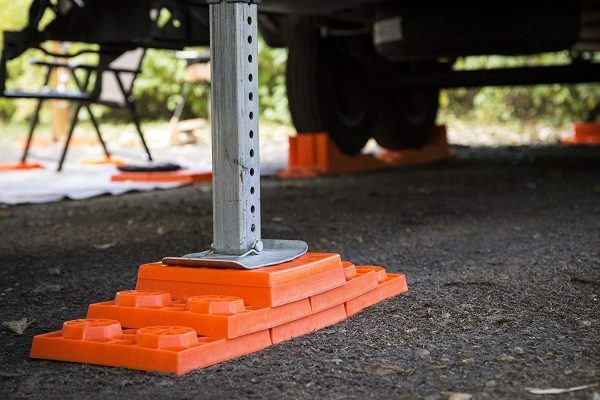 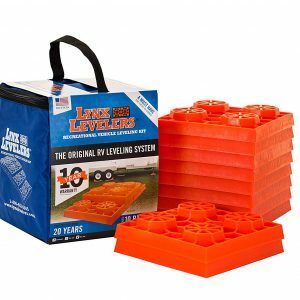 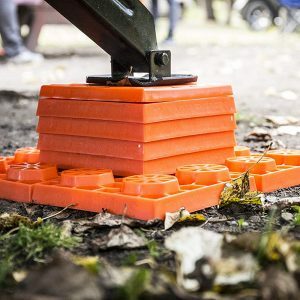 Leveling blocks are an absolute must have for any camper. 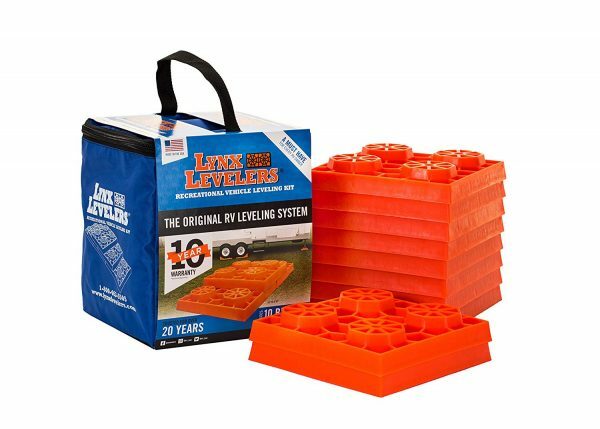 The Lynx Recreational Vehicle Leveling Kit includes modularly designed levelers that fit any leveling function and hold a lot of weight. 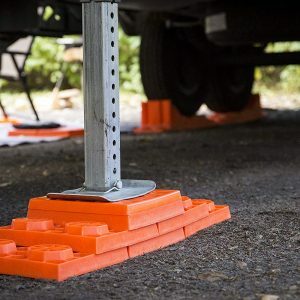 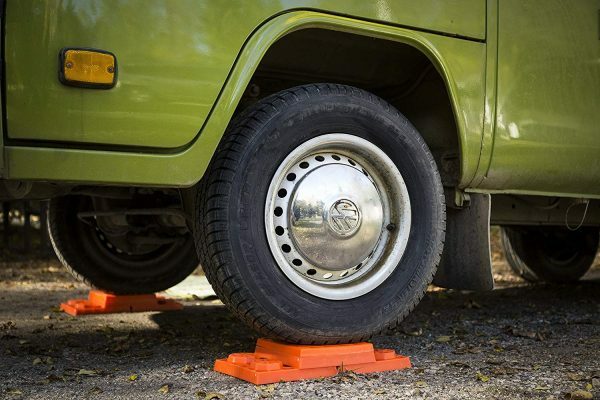 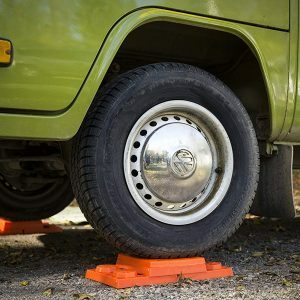 To use: simply set them into a pyramid shape to the desired height that the RV needs to be raised and drive onto the stack. 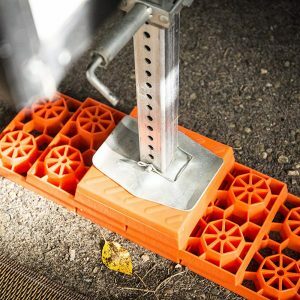 The levelers can also be utilized as a support base for jacks or stabilizers. 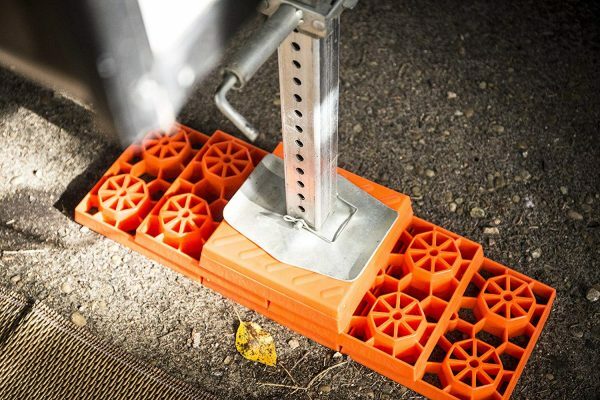 They are 8-1/2 inch x 8-1/2 inch with 1-1/2 inch thickness and provide 1 inch of lift. 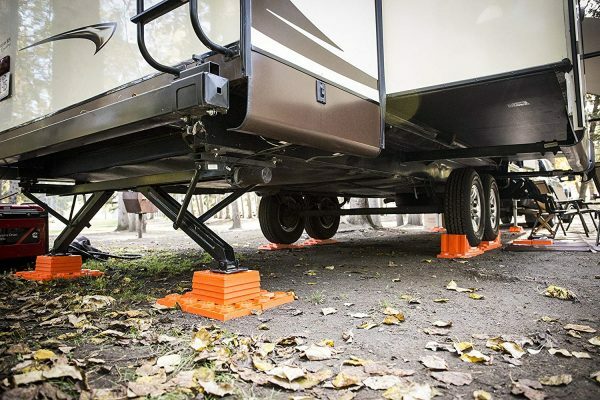 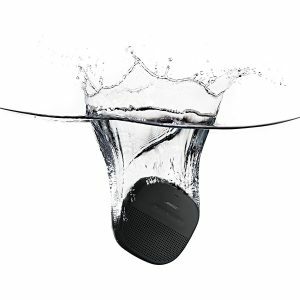 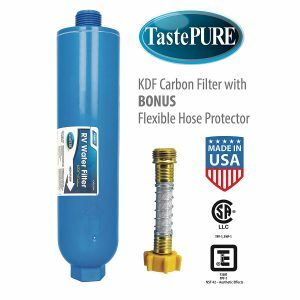 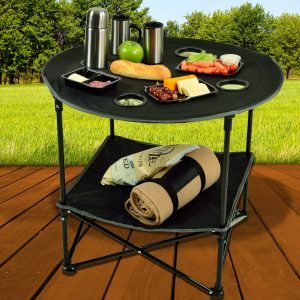 The 10 pack also comes in a convenient nylon bag and weighs less than ten pounds.